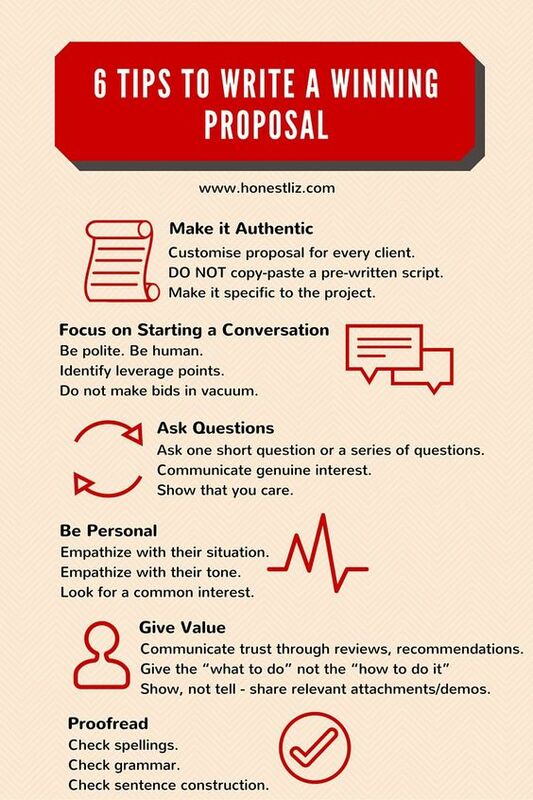 Customise proposal for every client. DO NOT copy-paste a pre-written script. Make it specific to the project. Do not make bids in vacuum. Ask one short question or a series of questions. Look for a common interest. Communicate trust through reviews, recommendations.